Ryan Braun has pulled within 32,925 votes of Kosuke Fukudome for the final starting National League outfield spot. If everybody watching votes 25 times, he’ll be an All Star starter. Voting ends July 2nd. Vote Braun at WWW.BREWERS.COM or WWW.MLB.COM up to 25 times per email account. There are still good seats available for Fourth of July weekend at Miller Park. We hope you’ll make plans to join us as the Brewers take on the Pirates. The Brewers hit the exact halfway point of the season with a winning record and still in the playoff hunt. Eighty one games down, eighty one to go. I think everyone is encouraged with the quality of play especially after a very difficult first half schedule. Amazingly, only five of the 16 teams in the National League have winning records. Three of those are in the NL Central. Milwaukee began the road trip 6.5 games back of the Cubs and are now just 4.5 games back. Anytime you can make up ground on the road, it’s a bonus. The last leg of this 10-game, 11 day road trip starts Monday as the Crew begins a four game series with the Arizona Diamondbacks. 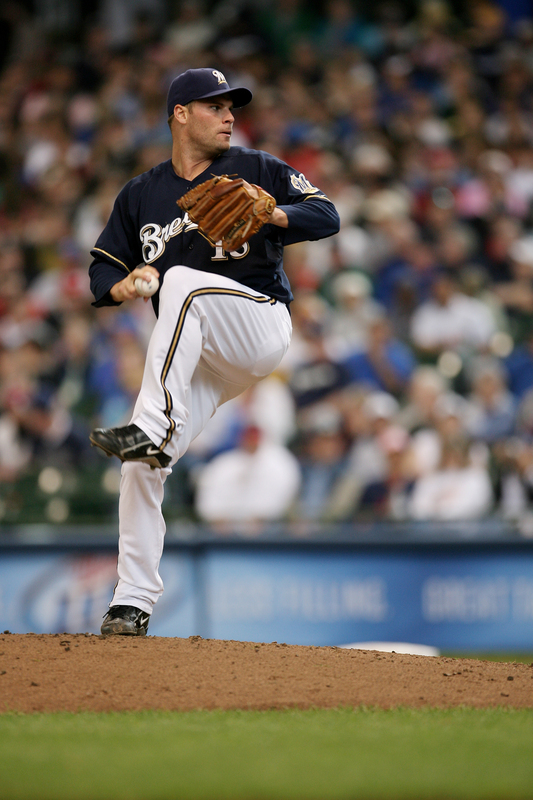 The Brewers will face Doug Davis, Randy Johnson, Michah Owings, and Brandon Webb. All four games of the Arizona series will be on FSN Wisconsin with Ryan Schaber producing, Michael Oddino directing, and Brian Mikolajek handling the sunscreen and heat index. Brewers Live will be “live” at Summerfest before and after the games so stay up late and enjoy West coast baseball this week! – The Diamondbacks are 9-13 since they last played the Brewers on June 4 and are 2-7 on their recently-completed nine-game road trip versus AL teams. They averaged just 2.4 runs per game in those contests, hitting .209 as a team. – Chris Young has eight RBIs in his last 11 games since being moved from leadoff spot. – Brandon Webb became the first 12-game winner in the major leagues Saturday. – Brandon Lyon had his streak of 15 consecutive save conversions broken when he gave up two runs to Florida in the ninth inning of a 4-3 loss Sunday. It was Lyon’s first blown save since April 6. He is 15 of 18 in save opportunities this year. – Eric Byrnes is 2-for-22 with no RBI and no runs scored since returning from the disabled list last Monday. – The Brewers swept three games from Arizona in Milwaukee in early June, and have won nine of the last 11 games in the series overall. – The Crew’s 24-13 record since May 20 is tied for best in the majors with Detroit. – Russell Branyan is tied for the NL lead with nine home runs in June (with Hanley Ramirez, Fla; and Mark Teixeira, Atl). – In seven road starts this year, Dave Bush is 1-5 with a 7.09 ERA, compared to 3-2 with a 3.18 ERA in seven home starts. The Crew enjoyed a day off Thursday in the Land of Lakes after a series victory in Atlanta. The Brewers are now 7-5-1 in road series this year. The road trip continues at the Metrodome Friday night before a 4-game series in Arizona beginning Monday. Milwaukee and Minnesota are the two hottest teams in the big leagues right now. The Twins came into Milwaukee June 13 having lost 6 of 7 on the road trip and 5.5 games behind the White Sox in the AL Central. What a difference a couple of weeks make. Minnesota has now won nine straight, 11 of 12, and are sitting a half game back in the standings. Ron Gardenhire’s club has swept three straight series (vs WAS, vs ARI, @ SD) and with a home record of 25-16, begin a long homestand versus the Brewers, Detroit, and Cleveland. The Twins are looking for their first 10-game winning streak since winning 11 in a row from June 22-July 3, 2006. Minnesota’s pitchers have a 1.78 ERA and have not allowed more than three runs in any game during this current streak. Minnesota has won eight of its last 12 games against Milwaukee, outscoring the Brewers 80-53 in these contests. The Brewers are one of just four teams with 100 home runs this season (Marlins, Phillies, White Sox). They have 29 home runs in their last 14 games (10-4). Corey Hart has 20 RBI so far this month, which is tied for the second most by any N.L. player. Delmon Young’s eight outfield assists are tied for third most in the majors. Unfortunately, he also has six errors – which is tied with teammate Carlos Gomez for the second most by any outfielder. After going 2-2 with a 4.80 ERA through the end of May, Seth McClung is 3-1 with a 2.55 ERA so far in June. Opposing batters are hitting just .186 against him this month. Nick Blackburn is 2-0 with a 1.93 ERA in his two interleague appearances so far this season. All three games this weekend will be on FSN Wisconsin with John Walsh producing and Michael Oddino directing. There are still good tickets available for the fourth of July weekend at Miller Park. We hope to see you there when the Crew finally finishes this roadie! Another successful homestand for the Milwaukee Brewers sets up a key stretch of games on the road. The Crew rallied to win the final two games of the Baltimore series to cap off a 6-3 stand at Miller Park. Next up, the Braves in Atlanta, the Twins in Minneapolis, and the Dbacks in Phoenix. Ten games, 11 days versus three teams all in the playoff hunt. There has been a lot of talk about how poorly the Crew has played on the road. A 16-21 record is nothing to be proud of but a 9-game road losing streak earlier this year buries the fact that the Brewers have actually been OK away from Miller Park when you break it down series by series. They have road series wins in Chicago (twice), New York, Cincinnatti, Pittsburgh, and Houston. Road wins have been hard to come by for all MLB teams this year and the Brewers road record is actually 6th best in the National League. The bottom line…the Brewers are hot. Since being swept in Boston, they haven’t lost a road series and they boast the best overall record in the Major Leagues at 21-10. Can they keep it up in Atlanta? – Monday’s starter Ben Sheets is 20-6 dating back to the beginning of 2007, the best winning percentage in baseball over that time. the only team in the majors to have six players with at least 10 HR this season. – The Braves are 9-14 since they last played the Brewers on May 29. Chipper Jones (sore right quad) has a small tear in his right quad and he re-aggravated the injury June 20. He can pinch hit, but he can barely jog and can’t move laterally. Mark Kotsay (back tightness) went on the 15-day disabled list retroactive to May 26 and is out indefinitely. Matt Diaz (strained posterior cruciate ligament in left knee) went on the 15-day disabled list May 28 and is expected to be out for six weeks. Rafael Soriano (right elbow tendinitis) went on the 15-day disabled list retroactive to June 6. Tom Glavine (flexor tendon tear in left elbow) went on the 15-day disabled list June 11. He is not expected to return until after the All-Star break. John Smoltz (sore right shoulder) had arthroscopic surgery June 10 and will miss the remainder of the season. All three games in Atlanta will be on FSN Wisconsin with producer Ryan Schaber, director Michael Oddino, Brian Mikolajek doing whatever he does…and Craig Coshun joining Rock and me on the air. Jeff Grayson and Jeff Cirillo will be in studio. Hope you have a great week, keep that positive energy coming. The Crew is really clicking now after sweeping the Toronto Blue Jays in the middle series of a nine game homestand. Milwaukee has won four in a row, 7 of 10, 23 0f 35 at home and has the best record in the National League since May 20 (following three losses in Boston). In a remarkable twist, every team in the NL Central has lost 3 in a row (including the front running Cubs), except the Brewers, who have won four straight. Thus, an extraordinary climb in the standings as the Crew has picked up three games in the last three days. The Brewers open a three game series tonight with Baltimore trailing the Cubs by 5.5 games in the Central Division standings. Meanwhile, the Orioles have won three in a row as well, having swept the Astros at Camden Yards with a win Thursday. These two teams haven’t played in Milwaukee since September of 1997. Baltimore has won four of its last five games against Milwaukee. The clubs have not met since the 2003 season. The Orioles are 11-6 (.647) so far in June, which is tied for the fourth-best record in the majors this month. 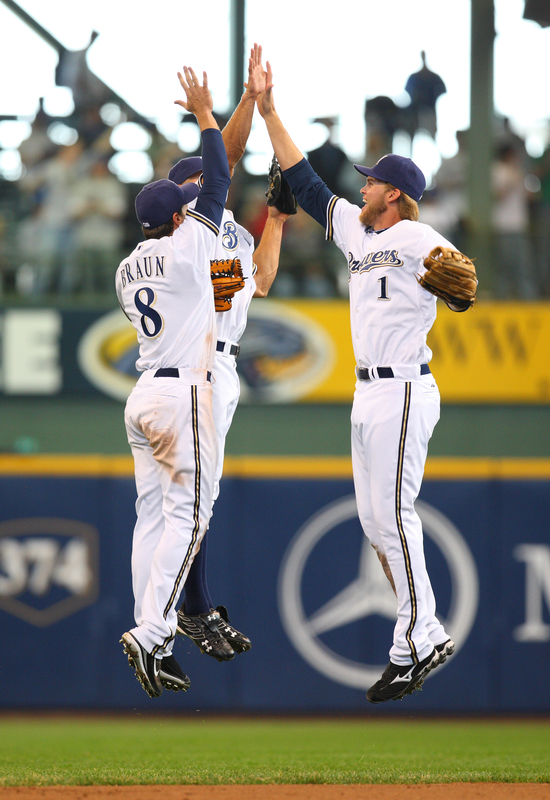 The Brewers have the second-best record in the majors this month (11-5, .688). After losing their first five interleague games this season, the Brew Crew has now won four in a row, outscoring its A.L. opponents 24-13 during this streak. In seven appearances on the road, Friday’s starter Radhames Liz is 1-1 with a 7.20 ERA, walking 14 in just 20.0 innings. O’s 2B Brian Roberts has had a hit in 15 of his last 16 games, batting .348 with 11 runs scored and 11 RBI over this stretch. Jeff Suppan is 2-0 with a 1.67 ERA in six home starts this season. Dating back to last September, he has won his last six decisions in home games. Russell Branyan has hit 10 home runs in his first 20 games (61 AB) this season. That is the fewest games it has ever taken a Brewers’ player to hit 10 homers (previous mark – 25 games by Carlos Lee (2006) and Rob Deer (1987)). Branyan has hit homers in three straight and in four of his last five games. Hope to see you at the ballpark and remember Vote Brewers! The American League skunk is finally out of the box after the Brewers 4-2 victory over the Twins on Sunday snapped a six-game Milwaukee losing streak against the AL that stretched to last June. The Crew was literally an inch away from winning 2 of 3 from the Twins after Prince Fielder’s walk off homerun turned into a keep playing triple Saturday night. It was one of the most entertaining games of the year outside the cruel ending. Credit the players for dusting themselves off and salvaging the finale. Now, Milwaukee welcomes the Toronto Blue Jays for the middle leg of this 3-team, 9-game homestand. These teams have met just once since the Brewers moved to the National League in 1998, with the Brewers coming away with two wins in three games against the Blue Jays in June 2005. The Brewers lead the all-time series, 155-115. After losing 10 of their last 14 games, the Blue Jays are below .500 for the first time since May 22. David Eckstein has hit in 13 of 15 games since coming off the disabled list May 27, batting .365 over that span. He’s raised his overall average from .246 to .282 during the spurt. 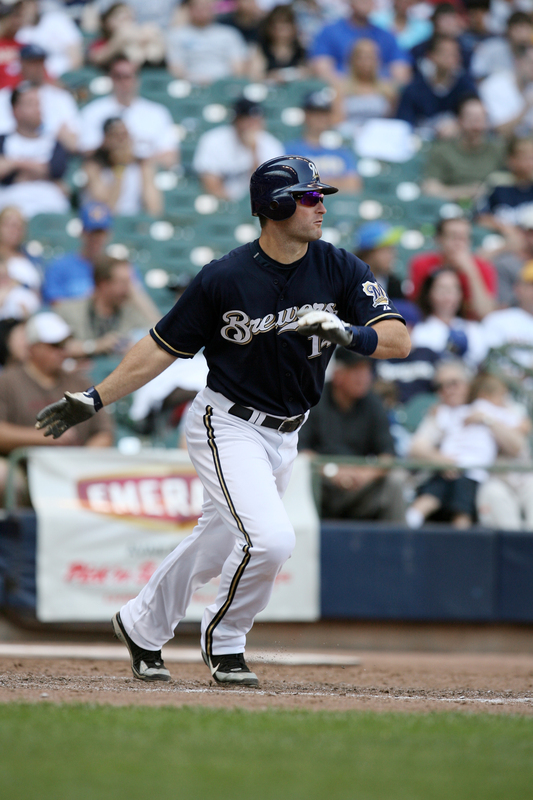 Between Russell Branyan and Bill Hall, Brewers third basemen have hit 15 home runs, tying for the most in the major leagues. Dustin McGowan is 3-0 with a 3.29 ERA in his last four starts. He’s fanned 25 hitters while issuing just five walks over that span. While Manny Parra has compiled a 7.24 ERA and .369 average allowed in road games this season, he’s 3-0 with a 2.90 ERA and .234 average allowed at home. All games with the Blue Jays will be on FSN Wisconsin with Brewers Live beginning at 6:30pm each night. A road rally that salvaged a 3-3 trip sets up a nine game Interleague homestand beginning with the Twins. The Crew has been living up to its powerball reputation. They’ve pounded out 25 home runs in the last 12 games, winning 9 of those. The Brewers and the Astros combined to hit 17 home runs in their three-game series. Stats guru Mitch Smith reports that the number totals the most home runs in any three-game series this season, and the most homers in a three-game series in a National League ballpark since the Expos and Angels hit 18 homers over three games at Hiram Bithorn Stadium in San Juan, Puerto Rico, from June 3-5, 2003. The Twins dropped to 1-6 on the current road trip and seven of their last eight games, giving up double digits in runs in four of the contests (an average of 7.6 runs per game overall in this span). Beginning play Friday, there are six teams above .500 in the American League and six teams in the National League. Three of the six in the NL reside in the NL Central (Cubs, Cards, Brewers). The Twins have had two managers since 1986 when Tom Kelly took over for Ray Miller (Tom Kelly, Ron Gardenhire). The Brewers have had seven in that time. Minnesota is 25-21 versus Milwaukee in Interleague play. At Miller Park, the Twins have won 11 of 21 contests between the teams. The Brewers have won six straight home games and are 11-3 in their last 14 home contests. Their six straight home wins is the second-longest active streak in the National League (Cubs, 11). Twins’ pitchers have walked 172 batters in 2008, the fewest total in the Major Leagues. The last time Minnesota issued the fewest walks in a season was 1981. Corey Hart is riding a seven-game hitting streak. During the streak, Hart is hitting .400 (12-for-30) with four home runs, 11 RBIs and four doubles. Well, if you’re only going to win one game in a series, win the last one. It makes travel and an off day much more enjoyable. The Brewers dropped 2 of 3 in Denver, losing a series for the first time since being swept by Boston. The Crew begins a three game series versus the Astros Tuesday before returning home for another nine game homestand. It’s “go” time. This series marks the third with Houston in a five week span. 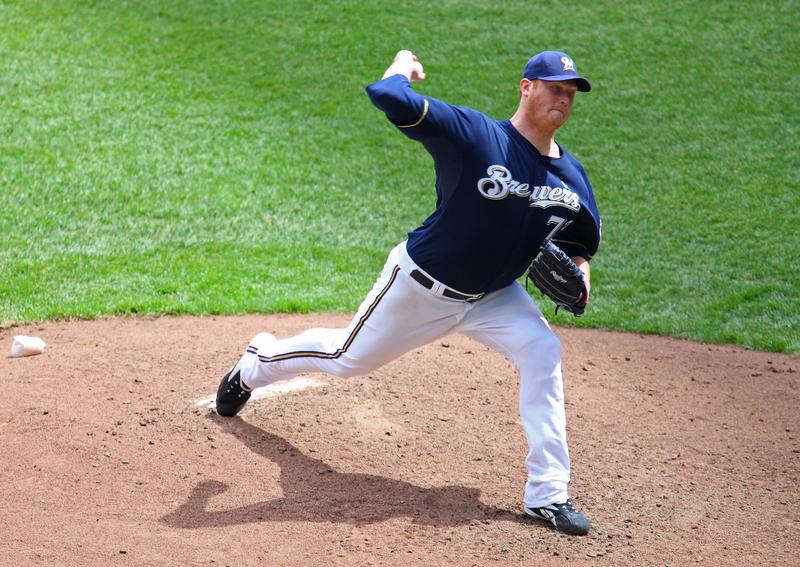 The two teams have swapped sweeps and the Brewers hope the p attern doesn’t continue. Houston dropped 2 of 3 to St. Louis over the weekend and have lost 9 of 11. Cecil Cooper has concerns about his offense and his bullpen’s workload as the Astros have yet to post a complete game. 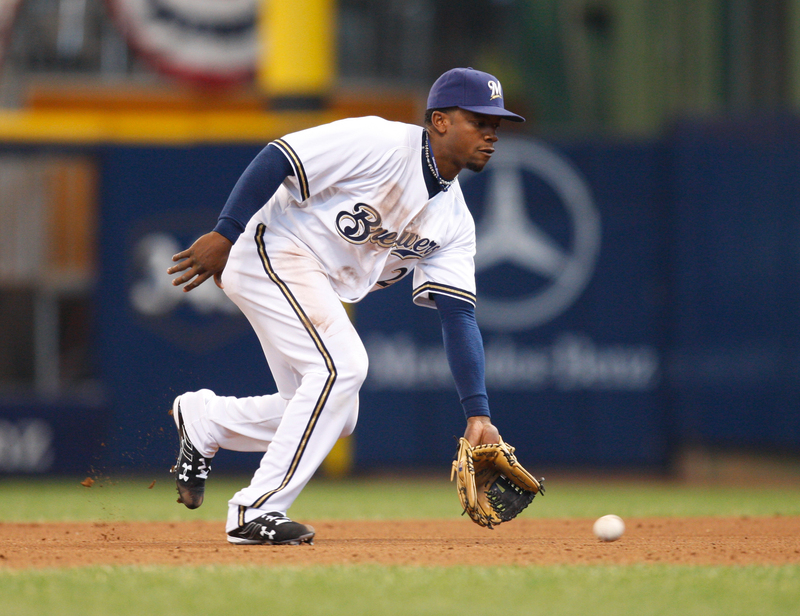 As for the Brewers, Rickie Weeks is on the disabled list until June 22nd with a sore left knee. Ned Yost has some tough decisions to make concerning the top of the order as he searches for the right combination to set up Braun and Fielder. 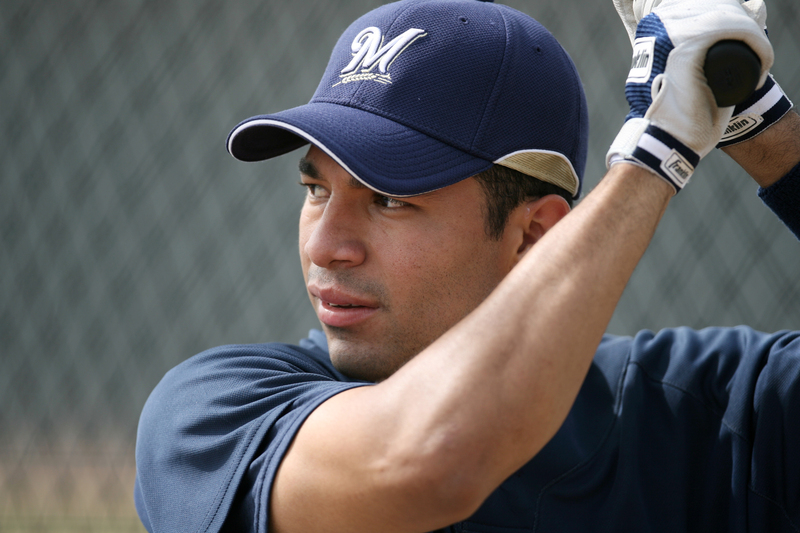 With Weeks out for two weeks, Hernan Iribarren was recalled from Triple-A Nashville. He’s an excellent defender and a good left handed hitter. As a side note, Hernan told me the Sounds are making quite a rally up the standings after a sluggish start. He also added that Derrick Turnbow and Jeff Weaver have both pitched well lately. 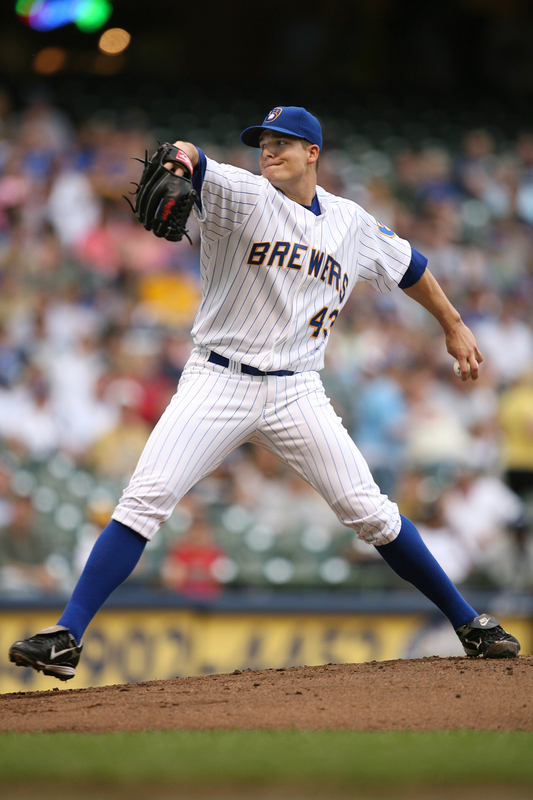 The Brewers have to make a promotion/release decision on Jeff Weaver by June 15 (unless Weaver extends the deadline). 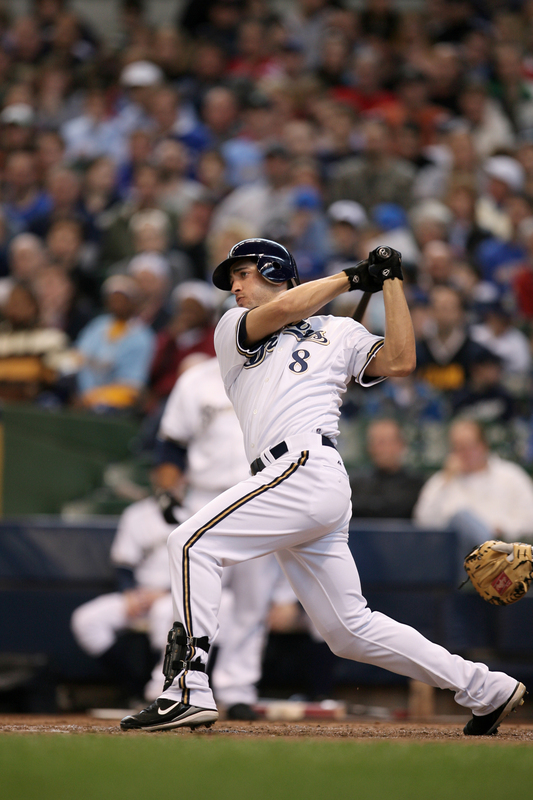 The Brewers are 17-13 against its Central Division foes in 2008–best of any team in the division. Russell Branyan is 8-for-22 (.364) in his last eight games–of those eight hits, five have been home runs. Houston is 29-2 (.935) when tied or leading after eight innings this season–best in MLB. With a sweep of the Astros, the Brewers are now 5-1 on the homestand and hoping to continue their winning ways versus the Western Division leading Arizona Diamondbacks. This series will feature some of the brightest young talent in baseball. The D-Backs are coming off back to back shoutout wins against the Nationals and seemed to have weathered their first slump of the season. The Brewers will miss Brandon Webb and Dan Haren in this series but Arizona is as deep as any in baseball on the mound and will send out Doug Davis, Randy Johnson, and Micah Owings in the three game set. We’re tight with the crew from FSN Arizona. It’s always great to catch up with old friends. King Buckethead Daron Sutton returns to Milwaukee and former Brewers TV director Mitch Riggin now cuts cameras for the D-Backs. Our Producer, John Walsh, spent a number of years covering the Diamondbacks for FSN Arizona. We’ve got a big golf match with those guys this week that includes many of our heavy hitting camera operators. Brewers TV crew versus D-Backs TV crew at Bristlecone Pines . It always amazes me how guys with tan legs, white feet, and Arizona zip codes play the “I haven’t been playing much golf” card. Whatever. 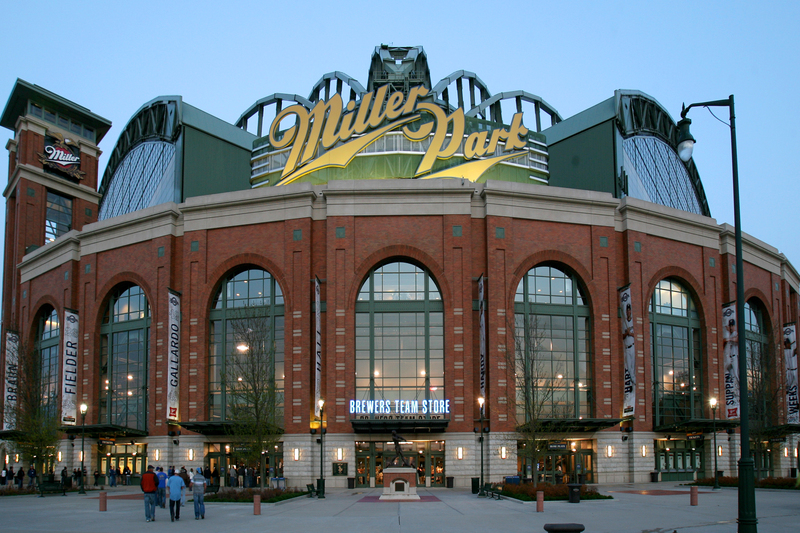 – Milwaukee has won 7 of the 10 meetings between the teams at Miller Park since 2005. – The Brewers are 6-1 since returning to the more conventional lineup with the pitcher batting ninth. 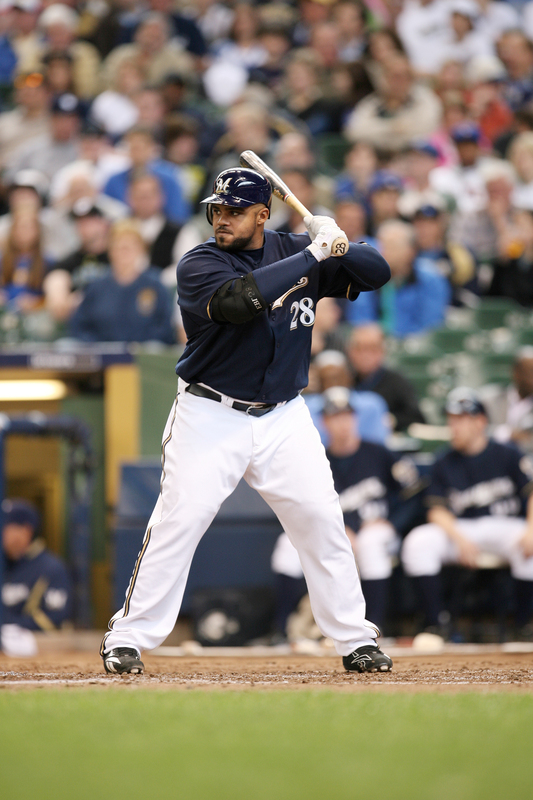 – Prince Fielder has hit 8 homeruns this year…7 have been with 2 strikes. – With back to back sellouts versus the Astros, fans have sold out Miller Park nine times already this year. Way to go!